It shows that EURUSD is in short term bearish movement. 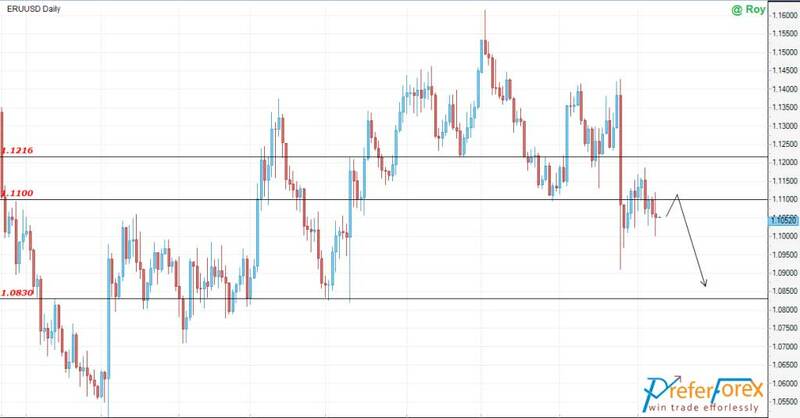 It has broken the support at 1.1100 and we have some bullish retracement, further retracement to the level of 1.1210 is also possible. According to the weekly chart it is still in the range and now it is in the middle of the range indication more falling to the bottom of the range. As it is in bearish bias, more bearish movement is expected targeting 1.0830.